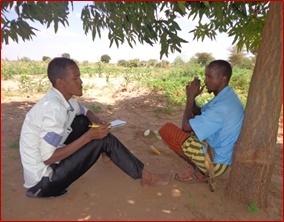 Osman, a Farmer who benefited with fodder inputs in Gu 2015 Surgadud village, Dolow district Gedo—Somalia as interviewed by FAO partner SRDA staff:Osman is one of the farmers in Surgadud village of Dollow district. With one hector of land and couple of animals in his land, he is among the first people to realize the importance of the project. “This is a very unique project for us as farmers particularly for me since I am an agro pastoralist who rears animals as well”. “This is like killing two birds with one stone” he smiles. Osman tells us that he was a seasonal migrant in his own town. 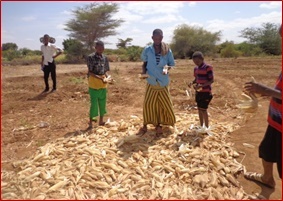 He used to move from the village to the town, became an IDP during the drought, and came back during the rains, a journey, which was very difficult for Osman and his family. 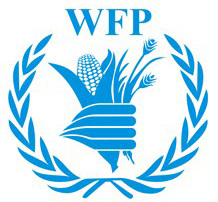 During the drought it is not possible to stay in the villages as there is nothing to eat, animals start dying day by day and the only option is to move to the town and register as an IDP. Life in the IDPs is not that much better from the village, it has all the risks for someone who is not used to it.Living in a temporary shelter which is very hot in the day and very cold in the night life is difficult in the camps for a farming family like Osman's.This season, it is all different for Osman and his family. I asked him how different it is from the years back and he tells me “the only reason we were moving from our villages was because of lack of food for our families now we have everything that we ever needed I can’t believe we are having this project in our door step”. 17/2/2016, Busley IDP, Luuq District, South-Central Somalia. 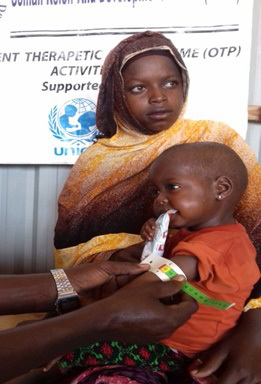 Busley IDP is about 2 KM away from Luuq town where the nearest OTP site is located, which is supported by SRDA & UNICEF. Services provided in this OTP site is also integrated with IYCF counselling sessions and NHHP sessions whereby many mothers from Busley IDPs benefit from. Just like any other IDP, the living conditions of Busley are poor as they use untreated water from the river, defecate openly and lack primary health care. “Each year, several million children either die or suffer irreparable developmental defects because of Vitamin A deficiency. 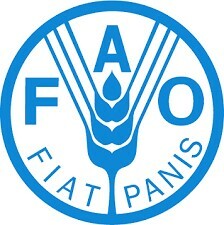 Countless others are harmed by malnutrition and starvation. Yet many of these deaths would be preventable if we address them heads on and use the tools that exists to stop them’’ – Richard J. Roberts. 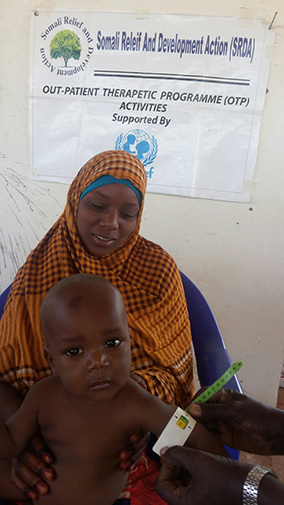 Around the time of admission, Tukaay Yunyow a single mother of a 2 year old Ibrahim Abdi became very devastated as her only child got sick. As time went by his condition continued deteriorating. One day as the community based worker, Leila Mohamed Ahmed, assigned in their area was doing house to house screening and community mobilization, she found very weak Ibrahim who was severely malnourished. She immediately referred him to the OTP site. Tukaay Yunyow was very happy that she got someone who assisted her. He was admitted on 16/12/2015 according anthropometric measurement which was Weight (5.8kg), Height (65.5cm), MUAC (11.3 cm), and Z- score (<- 3SD), which indicated the child was severely malnourished. During his stay in the program, he was receiving RUTF which quickened his recovery and the CBW used to do follow ups to educate the mother on the importance of RUTF and also to encourage on proper care practices. The child was discharged after two months from the program with MUAC (11.6 cm), Weight (6.3kg), Height (65.5cm) and Z-score (<-2 SD). After he was discharged from the OTP, he was referred to the nearest SRDA’s TSFP site immediately. The happiness from the mother was priceless when she was told that her child had fully recovered. ‘Am forever grateful for the existence of such services to help our children. I never thought my child would recover this soon,’ Says Mother Tukaay happily. Indeed a smile from such mothers is what we all tirelessly work for!!! 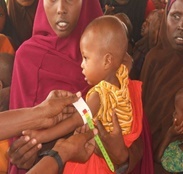 The good people of Somalia with the help of donors has been fighting constantly against malnutrition for the past decade. From the onset of the project, funding and support for implementation has been provided to the affected communities and NGOs by UNICEF. It’s UNICEF, SRDA and the Mother’s dream is to see such children grow healthy in all the milestones they go through. 13/4/2017, Jazeera IDP, Luuq District, South-Central Somalia. Hawo Ali Kerow is a single mother with 5 children, Sowdo Hassan Mogtar who is her third baby born fall sick and as time went by her condition continued deteriorating day after day in front of her eyes and could not do anything for her. One day as the community based worker, Omar Mohamed (Jazeera CBW) who was doing his active case finds at house to house level screening and community mobilization met Hawo who was very weak, easily irritating and severely malnourished. He immediately referred her to Jazeera the OTP fixed site. Hawo was very happy that she got someone who assisted her daughter at the door step. Sowdo was admitted on 23/2/2017 (admission number 1170 Jazeera) according anthropometric measurement which was Weight (6.4kg), Height (75.0cm), MUAC (9.6 cm), and Z- score (<- 3SD), which indicated the child was severely malnourished. During her stay in the program, she was receiving RUTF and other medication like amoxicillin syrup for upper/lower respiratory infections which quickened her recovery and the CBW used to do follow ups to educate the mother on the importance of RUTF and also to encourage on proper care practices. The child was discharged 11/4/2017 ,after one and a half months from the program with MUAC (11.8 cm), Weight (7.7kg), Height (75.0cm) and Z-score (<-2 SD). After she was discharged from the OTP, she was referred to the nearest SRDA’s TSFP site immediately. The happiness from the mother was invaluable when she was told that her child had fully recovered and graduated to MAM program ‘Am forever grateful for the existence of such services to help our children. I never thought my child would be healthy again soon,’ Says Mother Hawo happily. 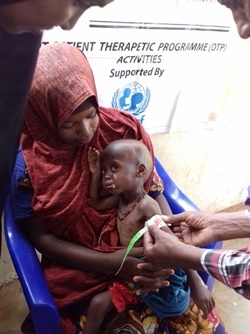 after being cured he was transferred from the OTP program to Supplementary Food Program (TSFP) in the tenth week as a patient of Moderate Acute Malnutrition (MAM) where now she is being handled by SRDA team with the Support of WFP/WVI. Meanwhile, his parents were also educated regarding the health and hygiene of the family. They not only appreciated the efforts and support but also took an oath to practice all the provided guidelines for the wellbeing of their child. 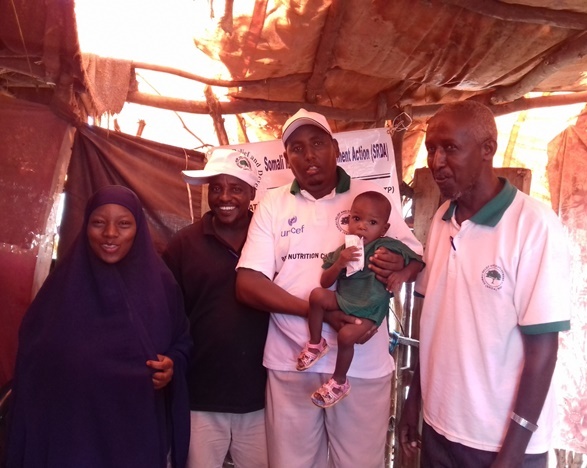 They told the SRDA team that they are satisfied with the progress of their child and would now breastfeed their baby for proper nourishment. Hawo Ali Ibrahim is a single mother with three children, Muslimo Ali Abdullahi who is her second baby born fall sick and as time went by his condition continued deteriorating day after day in front of her eyes and could not do anything for him. 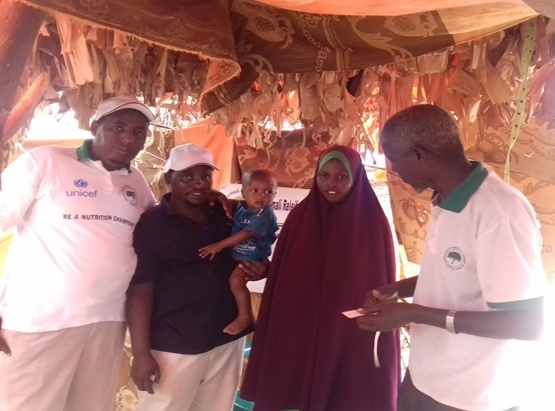 One day as the community based worker, Ahmed Adan Qondod was doing his active case finds at house to house level screening and community mobilization met Muslimo who was very weak, easily irritating and severely malnourished. He immediately referred him to Jazeera the OTP fixed site. Hawo was very happy that she got someone who assisted her daughter at the door step. 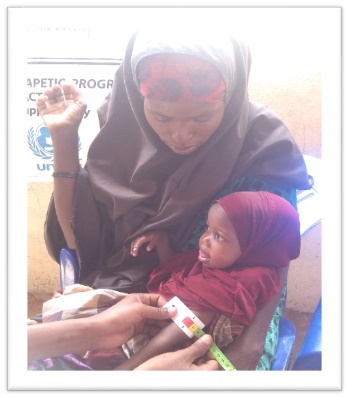 Muslimo was admitted on 27/11/2016 (admission number 1021 Jazeera) according anthropometric measurement which was Weight (8.0kg), Height (81.0cm), MUAC (10.9 cm), and Z- score (<- 3SD), which indicated the child was severely malnourished. 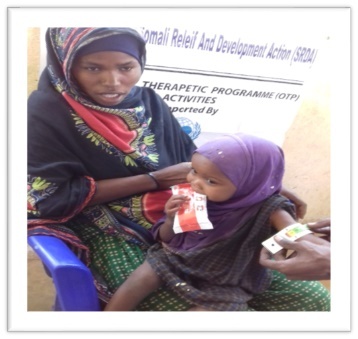 During her stay in the program, she was receiving RUTF and other medication like amoxicillin syrup for upper/lower respiratory infections which quickened her recovery and the CBW used to do follow ups to educate the mother on the importance of RUTF and also to encourage on proper care practices. 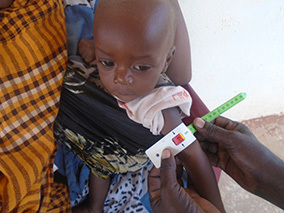 The child was discharged after two and a half months from the program with MUAC (12.1 cm), Weight (9.2kg), Height (84.0cm) and Z-score (<-2 SD). After he was discharged from the OTP, she was referred to the nearest SRDA’s TSFP site immediately. The happiness from the mother was priceless when she was told that her child had fully recovered and graduated to MAM program ‘Am forever grateful for the existence of such services to help our children. I never thought my child would be healthy again soon,’ Says Mother Hawo happily. ‘’Muslimo was among the 363,000 Acutely Malnourished children in Somalia effected by the drought and food insecurity at household level, he was in dire need of life saving treatment fortunately he is no longer in that category after he was treated from SRDA OTP program supported UNICEF and now referred to SRDA TSFP program Supported by WFP/WVI where now is on his second treatment to join the green world. The mother thanks to the good people of Somalia with the help of donors who has been fighting constantly against malnutrition for the past decade. It was not an easy battle as it requires a very strong coordination between stakeholders.’’ Every mother’s dream is to see their children grow healthy in all the milestones the child goes through.